High blood pressure is also known as hypertension. It usually has no symptoms, so the only way to find out if you have it is to get regular checks from your doctor. When your blood pressure stays high over time, it causes the heart to pump harder and work overtime, possibly leading to serious health problems such as heart attack, stroke, heart failure, and kidney failure. The good news is, adopting a healthy lifestyle can help both treat and prevent high blood pressure. And if you have private health insurance, there are many ways you might be able to use your cover can help. 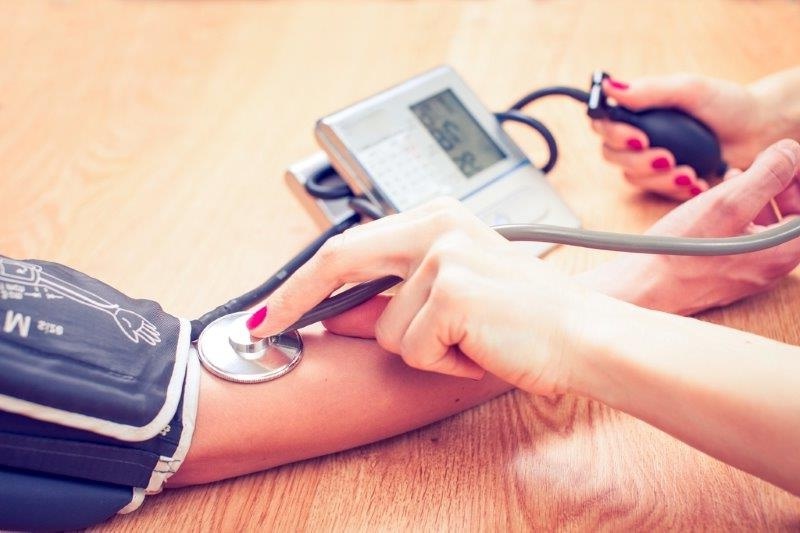 Here are some tips for managing high blood pressure--and how Medibank might be able to help. Your first stop should be your doctor. There are usually no symptoms associated with high blood pressure, so it’s important to get it checked regularly. If your reading is persistently high, it’s time to get it under control. Following a healthy diet and eating enough fresh fruits, vegetables and low-fat dairy products is key to helping you manage your blood pressure. It’s also important to limit your salt intake, so try to avoid processed and packaged foods. If you would like to improve your diet, you might like to see a dietitian. A dietitian can prescribe tailored nutrition advice for your condition. And if you have Extras cover with Medibank, you may be able to claim benefits towards consultations with a dietitian, up to your annual limit and subject to any waiting periods. You can also visit Medibank’s Live Better for lots of expert healthy eating advice and delicious healthy recipe ideas. Being physically active can help manage blood pressure and can have profound benefits to your overall health. If you’re looking for fun social events to get your body moving, check out Medibank’s Free + Active. Medibank members can also get access to our Member Offers for great deals such as discounted gym entry, 20% off Michelle Bridges 12WBT and discounts on fitness and sports products. If you have any questions about your health or need further advice on managing your blood pressure, Medibank members with hospital cover can call the 24/7 Health Advice Line on 1800 644 325 to speak to one of our experienced and passionate nurses. OSHC members can contact the Student Health and Support Line on 1800 887 283. If you end up going to hospital for surgery or a procedure, make sure you’re fully informed before you go. Before you commit to a specialist or procedure, ask your doctor any questions you might have. And if you’re a Medibank member, it’s always a good idea to call us on 132 331. We can help you understand what out-of-pocket costs you are likely to encounter, and what you can expect from your hospital stay. Medibank’s LiveBetter is also a valuable resource to prepare you for your hospital admission. You can look up what you might pay out-of-pocket and how health insurance could help manage the costs using our interactive tool. And you can get lots of practical information and advice from our going to hospital guide. For more information, or to check that you have the best cover for your condition, talk to our team on [134 190](tel: 134 190 "134 190") or chat to our friendly staff online 24/7 for advice and help with your health cover.